Nintendo has added the Zombie Outfit as a brand new costume to Super Mario Odyssey, which you can now buy from the Crazy Cap store in-game as long as you have finished the main story. 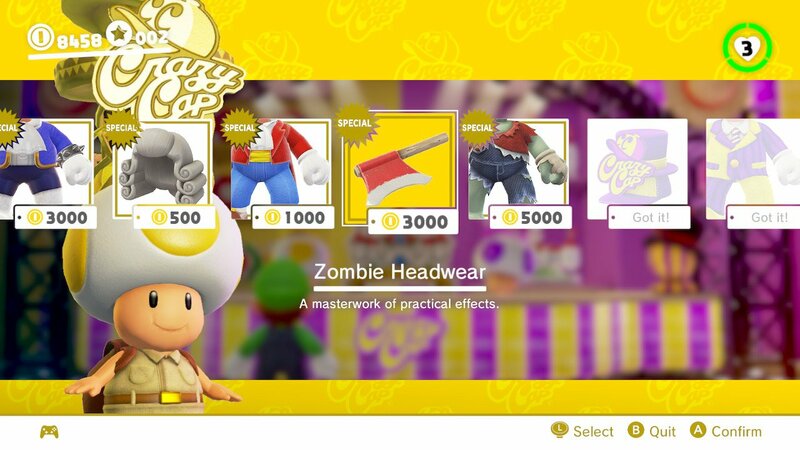 You will need to buy the Zombie Headwear and Zombie Outfit, that will soon let you dress the moustachioed Italian plumber as the undead just in time for Halloween. Zombie Headwear Wig (3000 Coins): A masterwork of practical effects. There are also three new filters that have been to Snapshot Mode, in Manga, Tile and Kaleidoscope for those that are still snapping their globe-trotting adventures.